In the July Issue of InBusiness Magazine, United Way was featured as one of the key organizations in their Charitable Giving Guide. QBE and CUNA Mutual Group were shown as key examples of companies who’s partnership with United Way has strengthened both the community and their businesses. 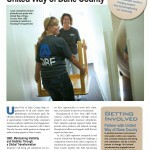 United Way of Dane County helps organizations of all sizes achieve their philanthropic and business goals. By offering volunteer, development, and educational opportunities, United Way helps companies increase employee satisfaction and engagement. 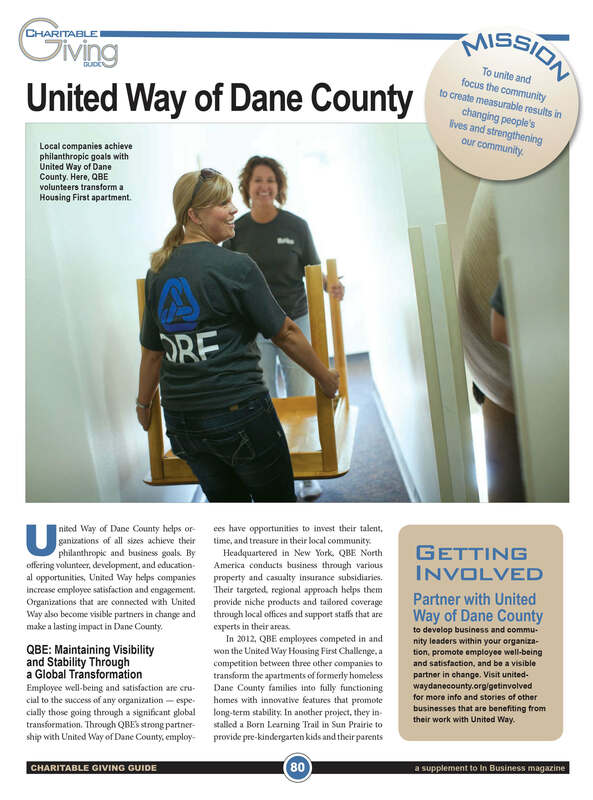 Organizations that are connected with United Way also become visible partners in change and make a lasting impact in Dane County.